If you've got a late 1990's Ford Taurus and are in need of a new camshaft position sensor hopefully these instructions can save you some money by doing it yourself. It's not too hard and requires minimal tools as long as you're careful removing parts in the way and very careful about realigning the sensor and encoder as they were when you removed it. Follow this link fix your Ford Taurus Camshaft Position Sensor..
Just in time for the holidays, if you have a 9V or 12V Lego train and are about to purchase some ridiculously priced straight tracks on eBay save yourself some money! Here's how to convert the ultra-cheap plastic tracks into electricly conducting ones! Follow this link to the Lego train track project.. If you want to take a look inside various electronic items look no further, I'll be adding a lot more items shortly. Follow this link to the teardowns and pictures page.. If you were looking for the "Replace LCD Backlight Inverter on Any Monitor for <$10" Instructions on Instructables than you've come to the right place. Follow this link for the Replace LCD Backlight Inverter on Any Monitor for <$10. If you were looking for the "Short Extension Cord Instructions" on Instructables than you've come to the right place. The post in its entirety has been moved over and I'll slowly be posting the rest of my prior projects. Follow this link for the Instructables Short Extension Cord Build. If you were looking for the "LCD Overhead Projector Laptop Powered" on Instructables than you've come to the right place. The post in its entirety has been moved over and I'll slowly be posting the rest of my prior projects. Follow this link for the Instructables LCD Overhead Projector - Laptop Powered Project. About 2 years ago I saw someone had built a tandem bicycle from 2 bicycles, a broomstick and some duct tape. The most innovative part was using the seatpost from the front bicycle as the steering tube support for the rear bicycle. In just doing that the bicycle is almost completely stable and supported, since each bicycle is designed to take the load at that point anyways. The only thing left to do is stabilize the rest of it with something on the bottom. 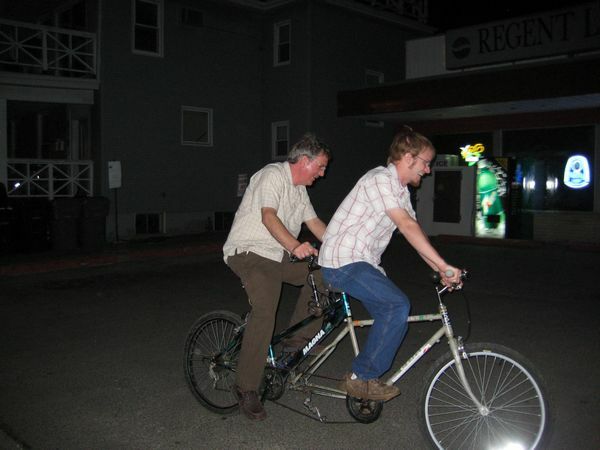 Follow this link for the Tandem Pictures and Explanation.. I've gone through 2 Omni-Filter Faucet Filters which have both broken or leaked before they were ever used. I finally pulled the second on apart to see what the deal is, have a look here.. The second of many projects that I'll be reposting from the Instructables website. If you were looking for Fix a Viewsonic VG800 LCD Monitor with Blinky Front LED OR Rainbow Screen on Instructables than you've come to the right place. The post in its entirety has been moved over and I'll slowly be posting the rest of my prior projects, a few new ones and adding the ability to comment and some fancy J-Script to tie everything together! Follow this link for the Instructables Fix a Viewsonic VG800 LCD Monitor with Blinky Front LED OR Rainbow Screen. The first of many projects that I'll be reposting from the Instructables website. If you were looking for the LCD Overhead Projector on Instructables than you've come to the right place. The post in its entirety has been moved over and I'll slowly be posting the rest of my prior projects, a few new ones and adding the ability to comment and some fancy J-Script to tie everything together! Follow this link for the Instructables LCD Overhead Projector Project. Looking for a nice PWM Fan / Thermoelectric (TEC) cooler Eagle CAD schematic? I've CAD'd up the circuit provided by Bit-Tech.net and made it available here. Let me know if you have any trouble or if it works for you! A while back a friend mentioned a LCD monitor that he'd seen in the trash with a "free - broken" post-it on the front. I figured I'd go pick it up as I had good luck with the previous monitor in the same situation. Through some troubleshooting I figured out that it was the backlight inverter that had died. I found a new backlight inverter on Ebay for about $30 plus shipping - way too much time and money to put into another LCD monitor that I didn't really need. So I decided that a LCD overhead projector would be a better investment since it seemed like a fairly fun thing to try out. 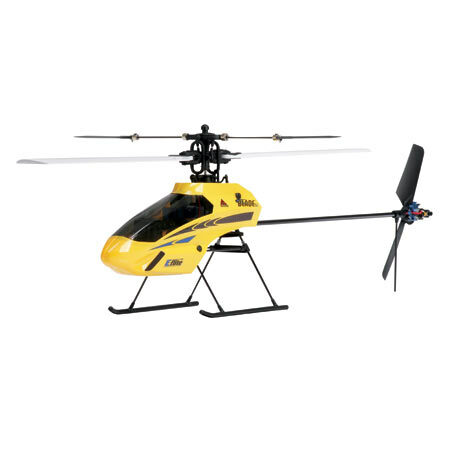 I finally bought one of those micro helicopters that seem to be the in toy this year. I feel bad for the parents that buy these things thinking their 8+ year old will be able to open it up and fly around the room. Read on for more on the helicopter saga. I figured since I wasted substantially more than an hour battling with my desktop this afternoon that I'd post my fight in the hopes that anyone else suffering similarily will enjoy the help. "Hardware Initiate failed, please check Device. The BIOS does not be installed. Press < g > to continue!" If you're having this error read on for more information and likely a solution. . .